In Cultivating Garden Style, Rochelle Greayer shares ways to create outdoor areas that are charming, comfortable, appealing, and reflect individuality. 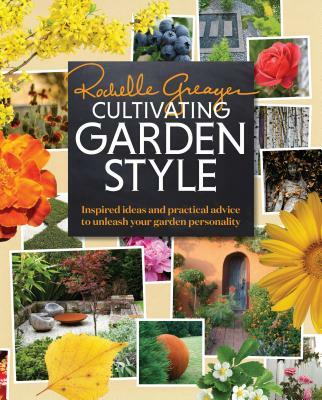 It features twenty-three unique garden styles accompanied by advice on how to recreate the look. Simple step-by-step projects, like how to make a macramé plant hanger, help the reader personalize the space. Helpful tips and tricks, including how to pick the right tree and pick the right combination of plants and containers, offer essential lessons in gardening and design. More than 1,500 dazzling color photographs give the book a visual punch. Rochelle Greayer is the creator of PITH + VIGOR, the co-editor of Leaf Magazine, and a weekly columnist for Apartment Therapy. A graduate of the English Gardening School in London, Greayer designs gardens internationally and earned a coveted medal from the Royal Horticultural Society at the RHS Hampton Court Palace Flower Show.